Why do people sell their properties at auctions rather than through estate agents? Many properties sold at auction are either uninsurable, unmortgageable, unregisterable, legally defective, subject to a Compulsory Purchase Order or in the case of leasehold properties, they could have pending major works that a seller would not want to fully disclose to a buyer, i.e. by way of disclosing the amount of money that has been demanded by the management company / freeholder, or there could be a short lease term remaining and the freeholder was being difficult in allowing a lease extension. It is extremely difficult for one to know exactly what they are purchasing at auction unless the property’s legal documentation is reviewed by a solicitor beforehand. Ola Leslie Solicitors offer clients a detailed report on any potential issues by analysing the documentation that auctioneers provide; it then helps tremendously with the decision of whether to proceed or not. Once a property’s bid at auction is accepted you have effectively exchanged contracts. If you find that due to one reason or another between this time and completion that you do not wish to proceed it will be too late and if you withdrew you would forfeit your deposit and a high amount in interest and legal costs. Our pre-auction reports can be carried out for you at a fixed fee and notwithstanding the fixed fee, you will receive a quality service by having a fully qualified solicitor deal with you and your matter directly. We do not believe in using unqualified “conveyancing executives” to represent our clients; this is how our firm differs to some other modern firms. In spite of this we do not believe in over-charging clients, our fees are always kept competitive and affordable rather than in line with other firms of solicitors in Central London. 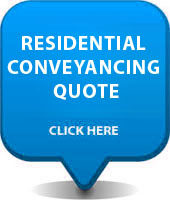 If you would like to obtain further information on our fixed fee conveyancing service, please click the“Request a quote button” to send us your details via our web form. You can also call us on 0207 183 0084 or e-mail us directly on info@olaleslie.com advising us of your exact request. We are based on Borough High Street in London Bridge (Southwark), London, however we deal with conveyancing all over England and Wales. We don’t expect you to use slow websites for five-worded generic updates, we always frequently email, telephone and/or send sms messages to you to keep you informed. As with any other auction, a property auction is where property is sold to whoever places the highest bid. 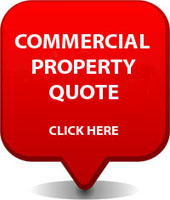 This includes residential property, commercial property, rural land and plots of land. At that stage you have effectively exchanged contracts therefore bound yourself into continuing with the transaction to completion, then paying the remainder of the purchase price. It is highly advisable to obtain a pre-auction report; it is paramount that you understand what type of property you are purchasing before you place your bid. Please get in touch with us for assistance.